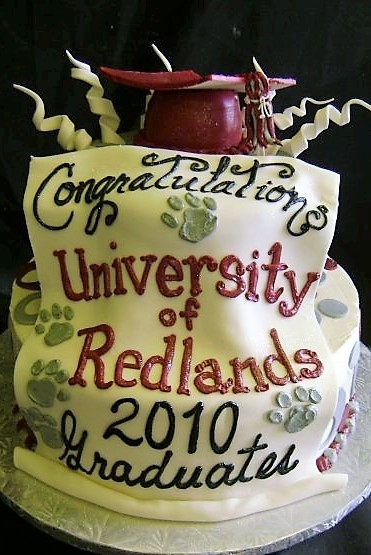 A sculpted man and his dog made out of sugarpaste and hand painted, stand in front of the university. 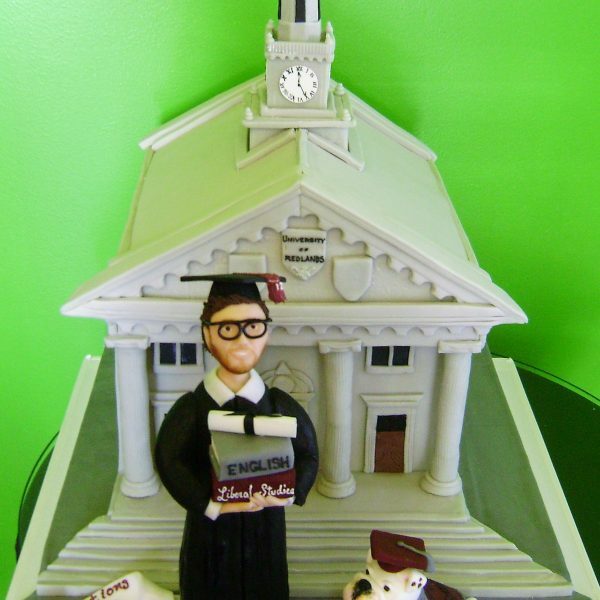 The building is cake and modeling chocolate. 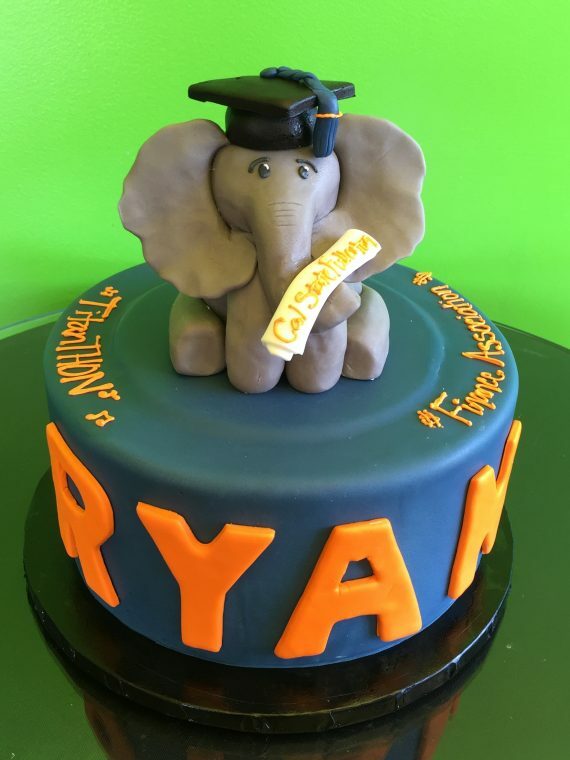 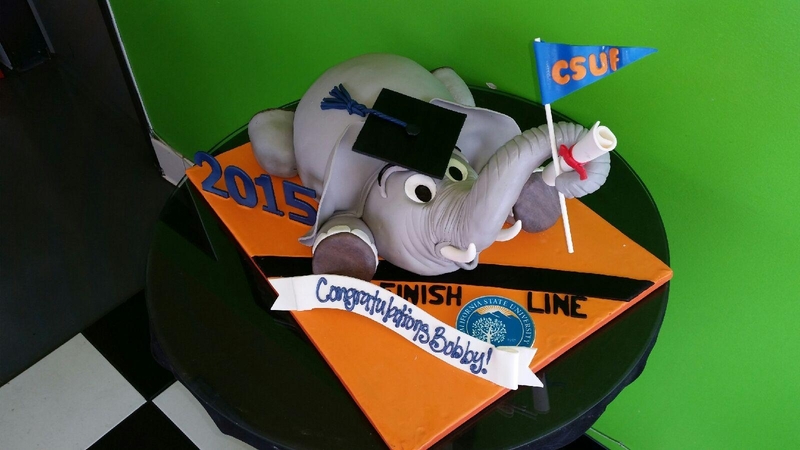 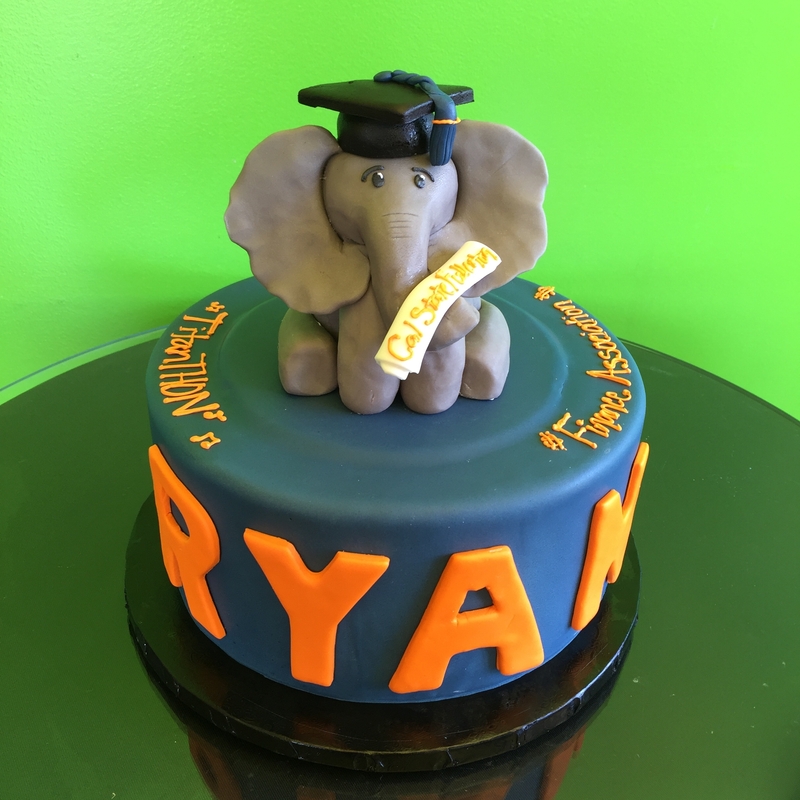 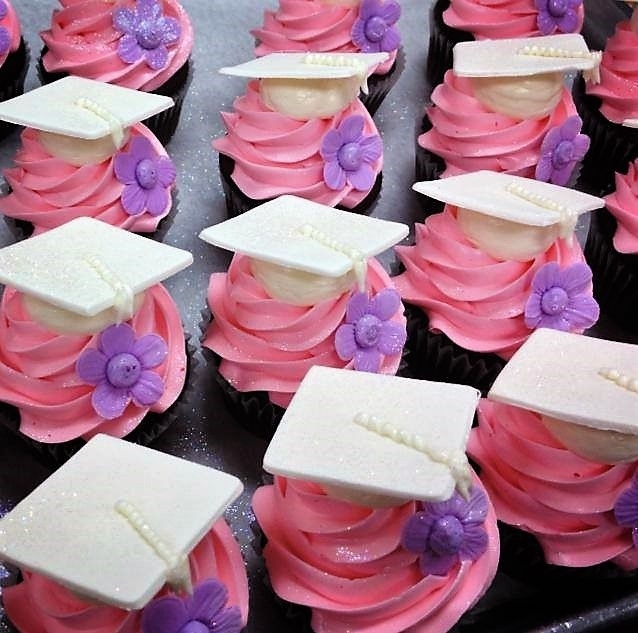 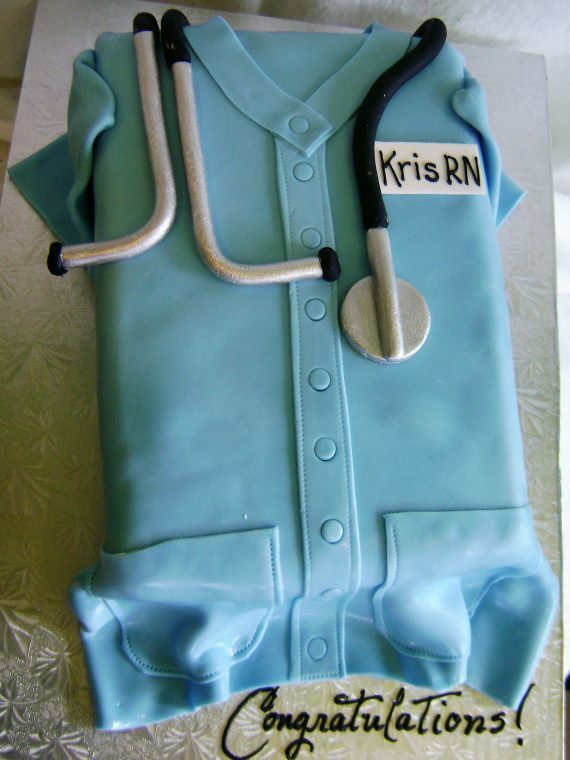 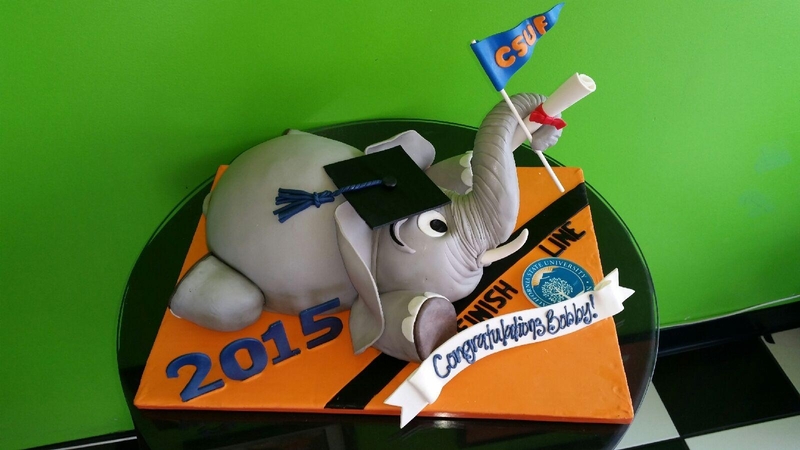 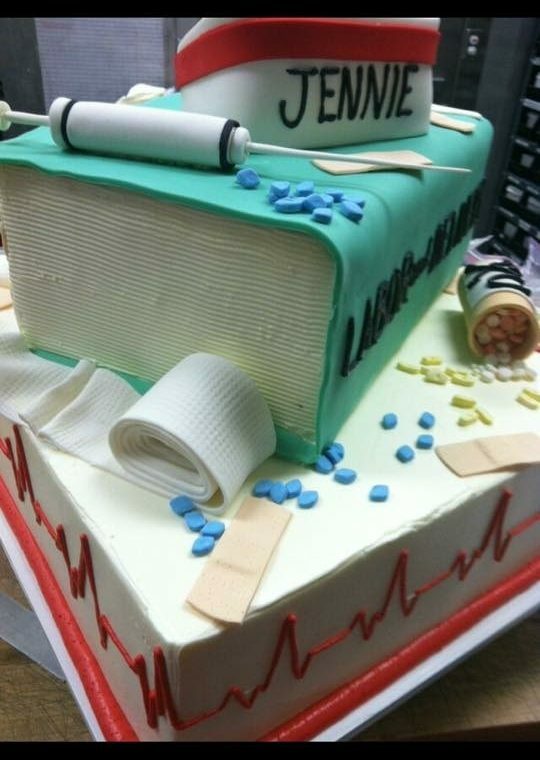 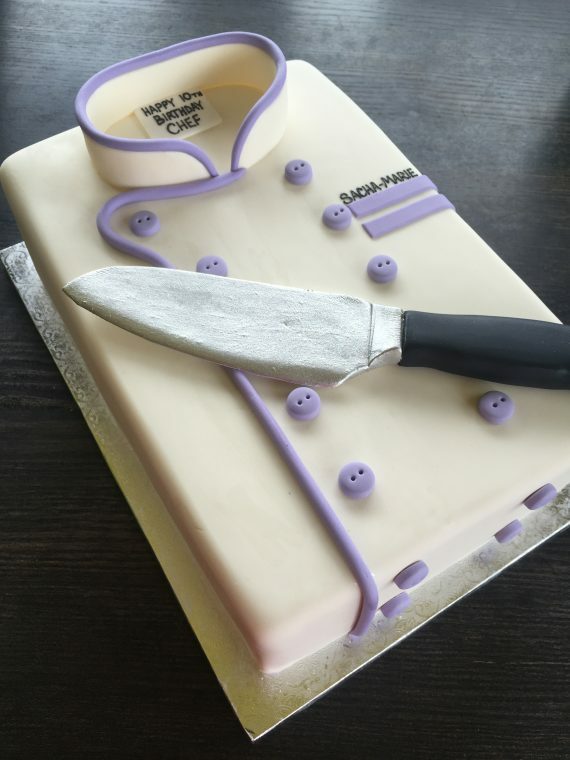 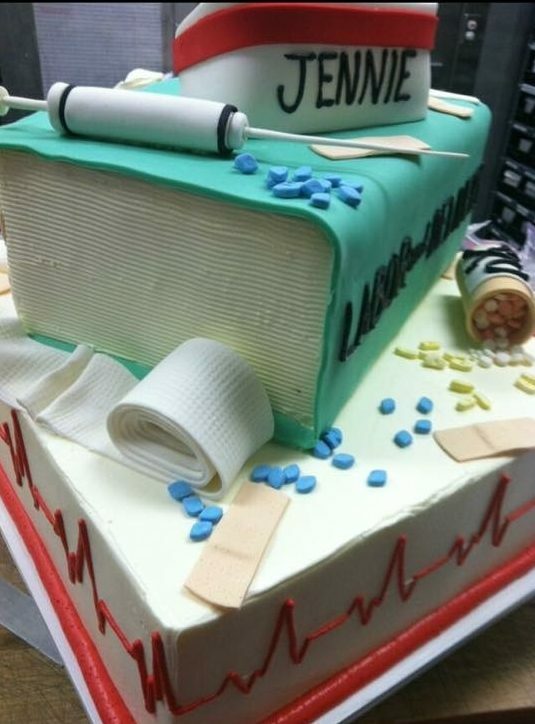 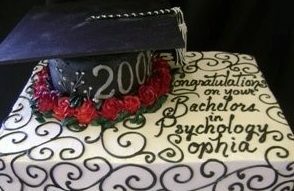 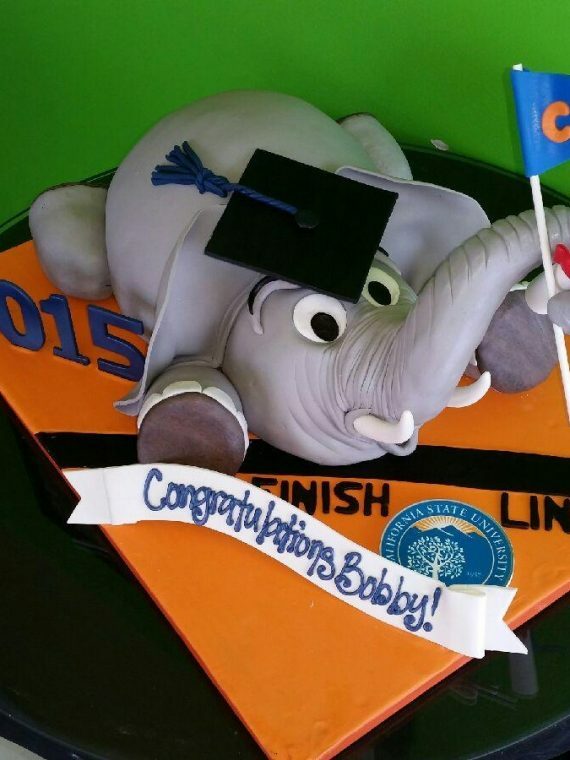 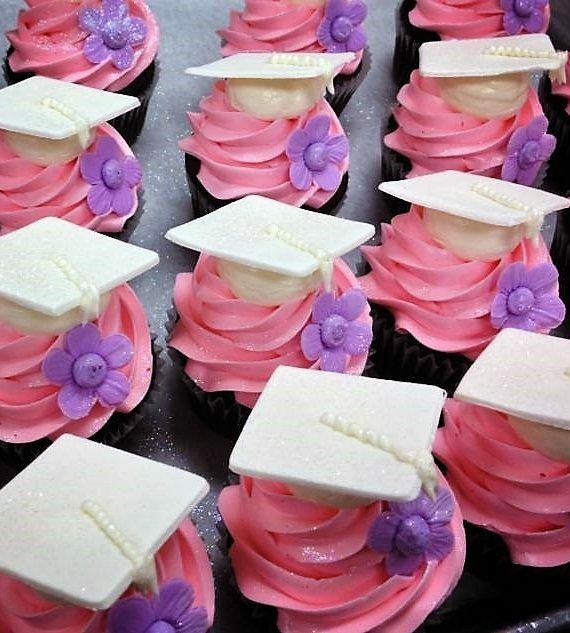 All the little details on this cake come together to make a perfect statement about this graduate!